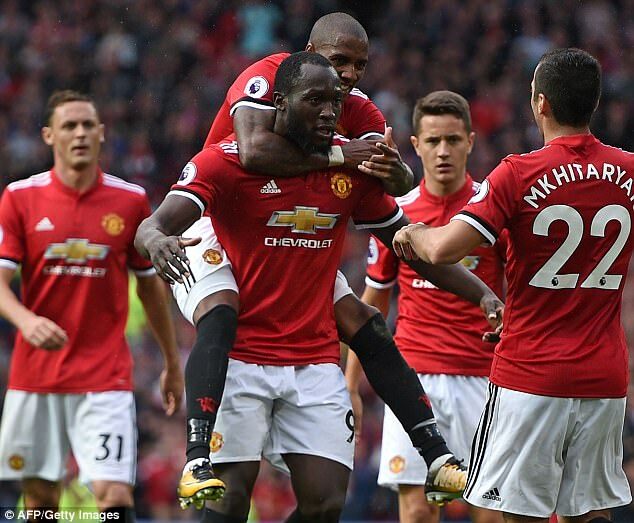 It is still early days in this season's Premier League, but United and cross-town rivals City have set the benchmark for others to follow. Only alphabetical order separates us and them, and we boast identical records: four wins, one draw, sixteen scored and two conceded. Despite Chelsea's dominance last season that ended with Antonio Conte's side winning the league, many pundits and bookies had tipped this season's title fight to be an all-Manchester one. Five games in, and we've seen nothing to suggest that won't be the case. The Stamford Bridge side remain within touching distance of the two Manchester clubs, and Tottenham also lie in wait. But there is an unmistakeable sense that the major players in this season's title tussle will come from the North-West. The arrival of Messrs Guardiola and Mourinho in Manchester sparked the renewal of one of the most captivating rivalries in the modern game. Perhaps one season later than expected, the much-anticipated showdown between the two men and their teams appears to have dawned at last. Both sides are blessed with a staggering depth of quality, particularly in attacking positions. Creator-in-chiefs Henrikh Mkhitaryan and Kevin de Bruyne have sparkled, and Sergio Aguero and Romelu Lukaku have punished opposing defences in a brutal, unrelenting fashion. Guardiola was able to call upon Leroy Sane, Bernardo Silva and fit-again Ilkay Gundogan from the bench at Watford, while Jesse Lingard, Ander Herrera and Anthony Martial changed the flow of the game for Mourinho as United ran riot late on. The two sides have been equally as impressive, but have despatched their opponents in different manners so far. Guardiola wants complete dominance and control from the outset whereas United, on the other hand, are more pragmatic. We are prepared to bide our time and then pull away late on - as we've seen against West Ham, Swansea and again against Everton. Mourinho is the master exponent of navigating a title race and every time his sides have topped the table at Christmas, they've gone on to win it. Of course, Guardiola has done so before in Spain and Germany, but Jose's greater experience of the Premier League and its late-season quirks may give us the edge. United were top of the league after three games last term and ended up slumming it in sixth, and City's own hopes faded after a similarly blistering start. Is it too early to write off any of the other contenders? We'll get our answer in the coming weeks and months but one thing's for sure: this season's title race looks set to go the distance and down to the wire.